Home / News / Nigeria launches new immigration policy targeting terrorists, foreign herdsmen!!! Nigeria launches new immigration policy targeting terrorists, foreign herdsmen!!! According to Premium Times Ng, The Federal Government has unveiled a new immigration policy known as “Immigration Regulations 2017’’ to check the entry of terrorists and other trans-border crimes in the country. The Minister of Interior, Abdulrahman Dambazau, while unveiling the document on Monday in Abuja, said the document would also fast-track the ease of doing business in Nigeria. He explained that the “Immigration Regulations 2017’’ is a vital document that seeks to operationalise the Immigration Act, 2015 and provide the legal framework for the dynamic and unfolding migratory realities. Mr. Dambazau said the new regulation would replace the old and outdated Immigration Act of 1963, which could not take care of modern realities such as terrorism, technology and new immigration challenges. “The objective of this new Immigration Regulations 2007 is to provide the legal framework for the effective implementation of the Immigration Act, 2015 and consolidate existing immigration regulations. “This new document therefore replaces the outdated Immigration Act of 1963,’’ he said. He explained that the new document empowers the Nigeria Immigration Service (NIS) to properly register all foreigners, protect the borders, enhance internal security and attract foreign investors using the latest technology. 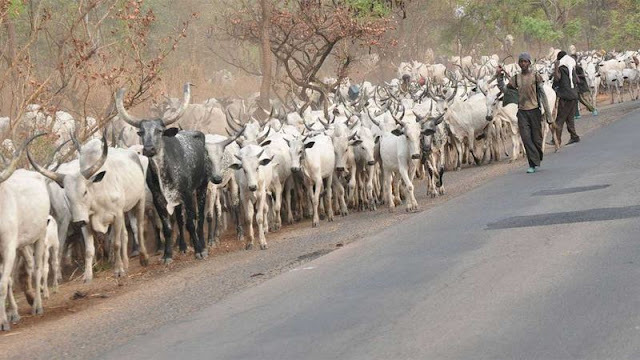 Mr. Dambazau said with the policy in place, the NIS would be empowered to register and monitor the entry and movement of foreign herdsmen who come into the country. According to him, this will also go a long way in checking the herdsmen and farmers clashes. Earlier, the Comptroller-General of NIS, Muhammad Babandede, said the “Immigration Regulations 2017’’ would positively change the operations of NIS in line with international best practices. “The Immigration Act, 2015 made some profound provisions such as the establishment of migration directorate, dealing with issues bordering on smuggling of migrants and so on. “I can assure you that with the Immigration Regulation 2017, NIS has been strategically positioned to combat all cases relating to transnational organised crimes,’’ he said. According to him, NIS will be working with other security agencies like the Police, and INTERPOL to check trans-border crimes, human trafficking and arms smuggling into Nigeria. The News Agency of Nigeria (NAN) reports that the occasion was graced by diplomats, officials from the Ministry of Foreign Affairs, NIS and the International organisation for Migration (IOM).